The zombie apocalypse was upon us, and it was up to Algebra 2 students to figure out how much time was left before the entire population was infected with the virus of the undead. With five zombies starting the rampage and the rate of infection increasing exponentially, after one year the whole world would be zombies, determined juniors Trenton Smith, Cortez Charleston and Jelen Reese, who presented the news during a broadcast in front of their Godwin Heights High School peers. Making Math Add Up is a series on the difficulties students have learning math, and what methods some schools and teachers are using with success. Other groups’ findings were just as dreadful: hungry zombies move through a population fast, it seems. 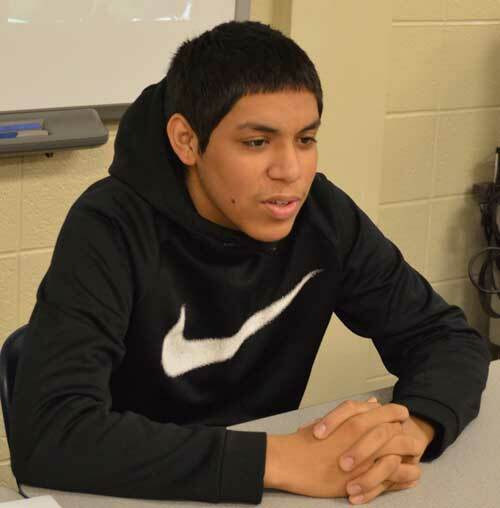 Students in Patti Reeder and James Rex’s classes were challenged to use exponential function to create a scenario in which zombies take over the world. 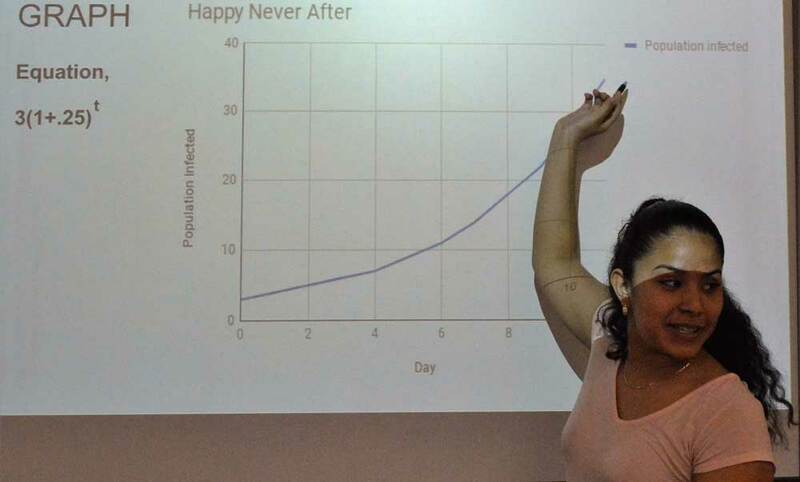 They used the formula for exponential growth, which calculates how things double, triple and continue to increase, and displayed it on a graph. 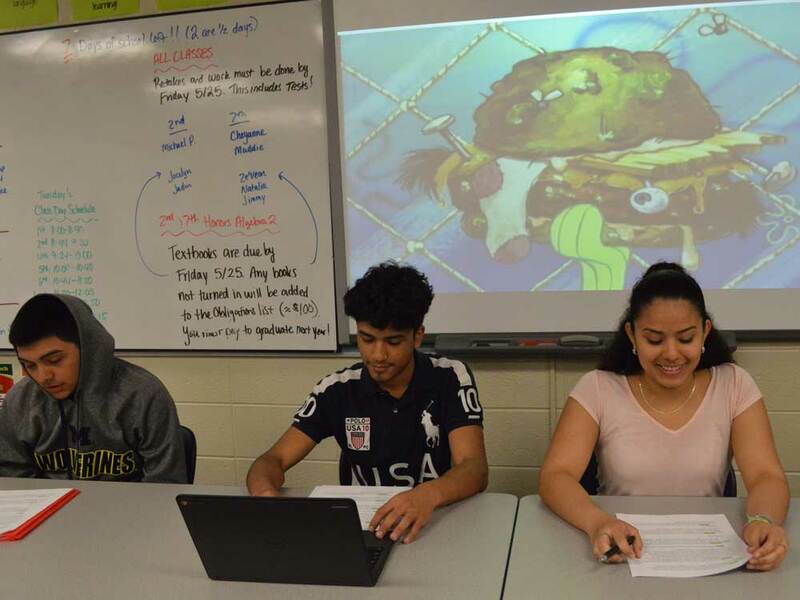 Students created videos to tell the background story of zombie invasion, and wrote news articles and obituaries, adding literary flair to the numerical doom. Their newspaper and broadcast pieces included the initial number of zombies, the growth rate, and an exponential equation in the form y=a(1+r)t. Along with math, they included some journalistic basics: who, what, when, where and why, and directions to the masses: RUN! 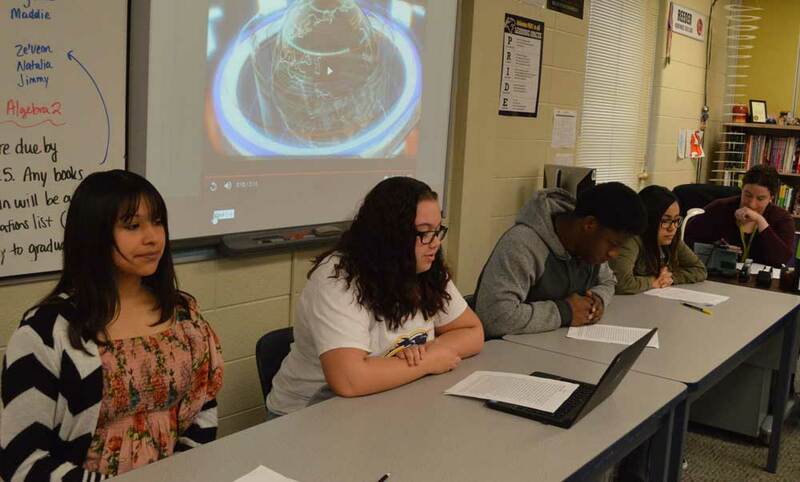 “By two months, the population that will be affected will be 1,957,590 people,” said junior Jasmine Gonzalez. Reeder and Rex collaborated on the project as a way to teach exponential growth in an engaging way. “They had to pick their own growth rate and had to pick how many zombies there would be after one day, one week, one month and two months,” Reeder said. During their presentation James Horrell, Marcell Johnson and Samuel Montanez looked soberly at their audience. Using their equation, 5.7 million people would become zombies after a month. “God bless our souls,” James said.